Merry Christmas and a happy new year everyone! Welcome to Sweet New Zealand, this is my first time hosting, how exciting! This month’s recipes are perfect for entertaining in the festive season, with everything from Christmas mince pies to delicious coconut ice we’ll have to bookmark this for next December. Isn’t it nice to know we’re all still alive after the predicted apocalypse, what better way to celebrate than baking up a storm?! First up to get us in the festive mood, Alessandra Zecchini proves that her Christmas tree can look good and taste good too! 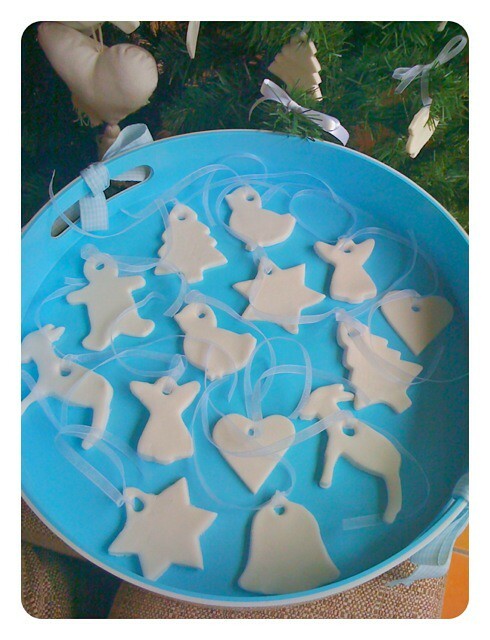 Alessandra’s Fondant Christmas Tree Decorations look spectacular, especially in contrast to the traditional green tree. Oh Christmas tree indeed! 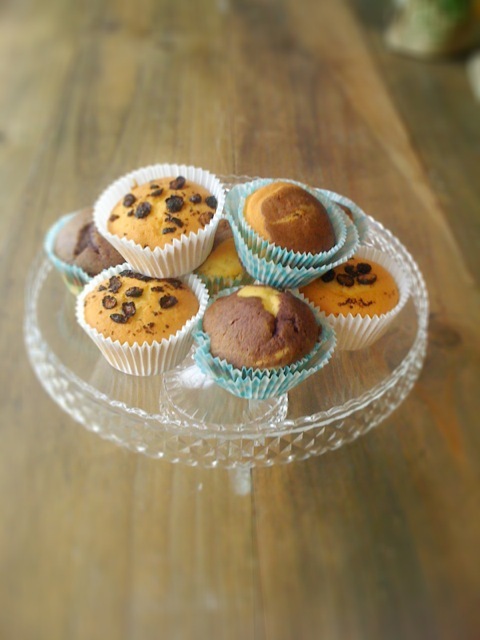 Next up Alessandra graces us with another mouth-watering entry from her Only Recipes blog, Cupcakes with Dried Blueberry Slices and Blackcurrant Powder. These cupcakes look delicious and simple to create, what’s better is there is no icing needed! Bonus! 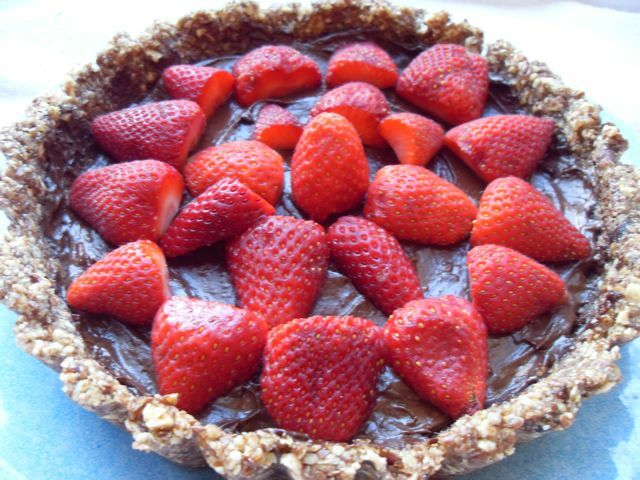 The lovely Frances from Bake Club mixes things up a little with this totally raw, gluten free, dairy free and sugar free recipe for her Raw Chocolate Mousse Tart. This recipe requires no cooking which automatically puts it in my good books! Plus, you’ll be able to keep everyone happy with a recipe like this, even your diabetic/gluten free/dairy intolerant friends! 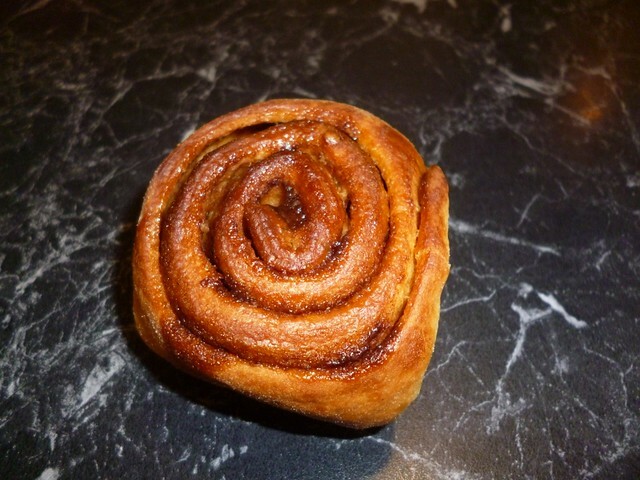 All I want for Christmas is some Ooooey Gooey Cinnamon Swirly Buns! These bad boys look like something I could demolish in a few seconds (just like Michelle’s boys I think?) Michelle from Greedybread sent in this entry that makes me want to whip up a batch so fast you won’t believe. Not only am I a sucker for cinnamon buns but this recipe look nice and easy to follow with no confusion over ingredients and no fussing over cutting things to precise sizes. Can’t wait to try these! 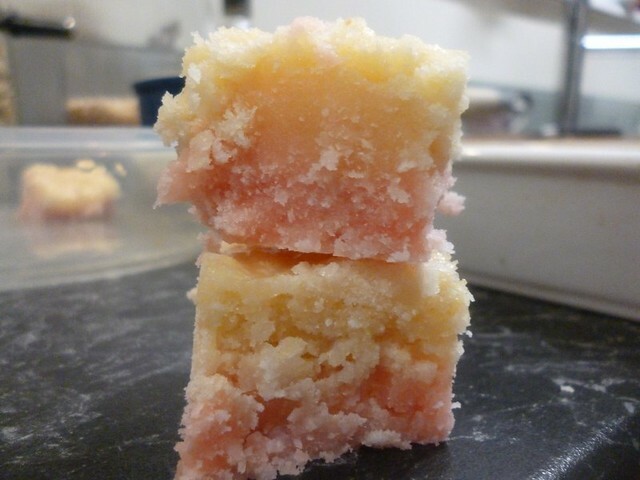 If you’re dreaming of a white Christmas look no further than this delicious Coconut Ice recipe from Michelle at Greedybread. Michelle brings up a great point, why is it that we don’t eat this heaven-sent coconutty goodness all year round? I say we start eating it once a month, I’m in! Anyone else? This next entry by Allison from Pease Pudding is going to make you wish we had Christmas more than once a year. 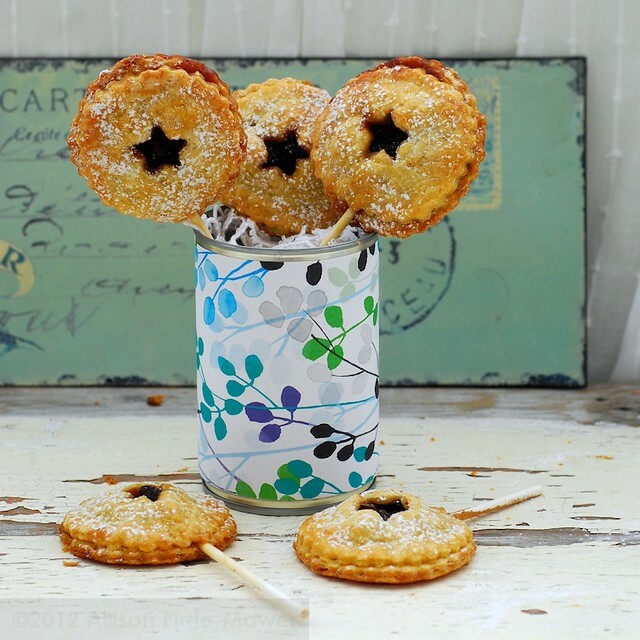 Alli made these adorable Christmas Mince Pie Pops, yes you read that right, POPS! I always say everything tastes better on a stick! Oh so cute and fun to eat too I’m sure! It’s beginning to smell a lot like Christmas! Well, at least that’s what I imagine when I think of spiced cakes at Christmas time. Especially with my husband’s Dutch family, spiced food is pretty much all they eat! 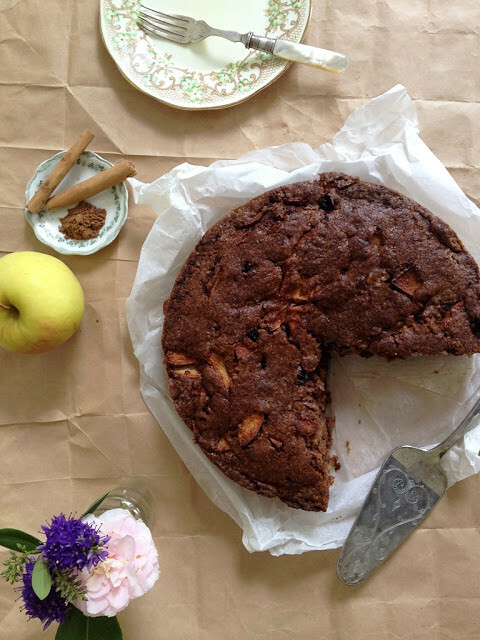 This delicious Spiced Apple and Walnut cake by Shirleen at Sugar & Spice sounds like a superb idea for a Christmas dessert or snack. I love Shirleen’s “random thoughts” which accompany her recipe quite nicely! If there’s one thing I love about Christmas time, it’s the cherries! I am one of those people. The cherry people. The ones who adore anything with the word cherry in it and you can’t get much better than the real thing, that is, unless you throw it into some delicious moist chocolate brownies. 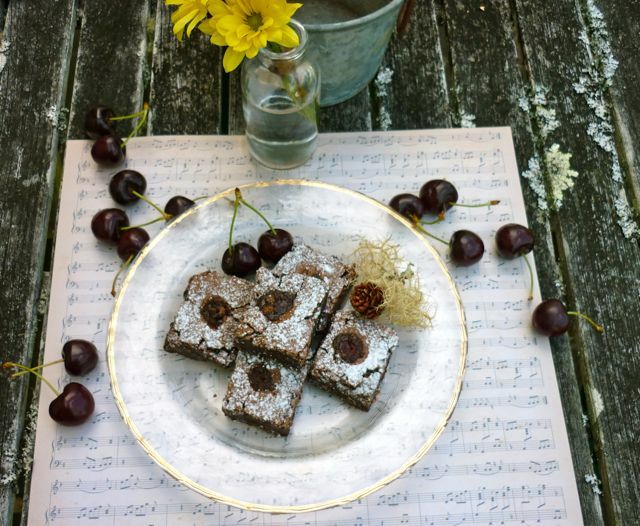 That is just what Lesley at Eat Etc did when she submitted this delicious looking recipe for Chocolate Cherry Brownies. I like how Lesley has explained that these brownies are the fudgey kind, not the yucky cakey type, it’s good to get that kind of information before you start baking. Nothing like biting into a brownie that tastes like bland cake (yes this happened to me yesterday). Can’t wait to try this recipe! 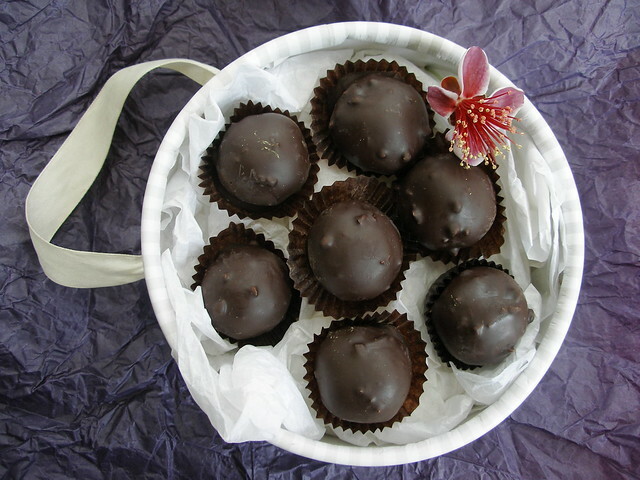 I’m a big fan of giving homemade (edible) gifts at Christmas time and I know I would LOVE to receive a box of these Chocolate Hazelnut Truffles from Nicola at Homegrown Kitchen. Not only has Nicola used fresh locally grown hazelnuts but she’s thrown cocoa nibs in there too, which has got me very intrigued (never tried them!) but also craving a taste of these beautiful looking truffles. I know Santa Clause is a big fan of this next entry, decorated Sugar Cookies by Anita from On To The Plate. Anita suggests getting the family around to decorate cookies at Christmas time, I think that’s a great idea, it could even become a family tradition! 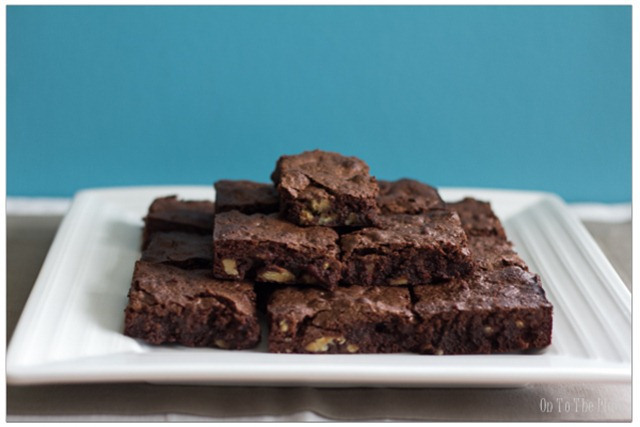 Anita has been so kind as to send in another recipe for us to drool over, this time it is Chocolate Pecan Brownies which look delicious! She made these for Thanksgiving, I bet everyone was thankful for them! 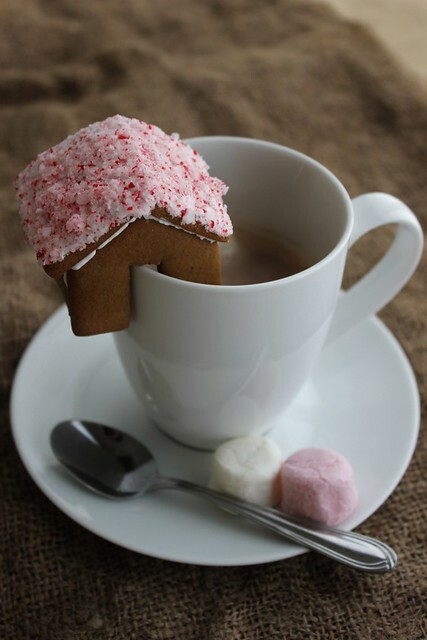 Lastly, I decided I should contribute something to the Sweet NZ round up (seeing as I forgot last month) so I’ve added my tutorial on these cute Mini Gingerbread Houses that sit on the side of your mug. I’m not going to lie, these are pretty time consuming, but they are so much fun to decorate and much more fun to eat with your coffee or tea than a plain boring gingerbread man! So that’s it for December’s Christmasy Sweet New Zealand recipes. Thank you for stopping by, hopefully you will be inspired to bake your way through 2013. I hope you all have a wonderful new years celebration whatever you have planned. I will be sleeping through this new years eve, which I’m actually excited about (never done that before!) Take care and be safe! Next months Sweet New Zealand will be hosted by Arfi from HomeMadeS, I can't wait to read all the sweet recipes for the new year! Great round up Lydia and well done getting this put together during the Christmas break. I'll pop over to any blog I missed now. Thanks Alli! I loved the pie pops! Must try them out some day! Lovely to find some posts I haven't yet seen and for your festive Sweet NZ summary. Thanks Lydia. Thanks Lesley, hope it wasn't too cheesey! Hahaha! The sweetest SNZ Christmas ever! Well done Lydia, fabulous recap! Thanks Alessandra! It was fun to host, must do it again some time!